I am a sucker for a good cleaning product, and if it is labeled “all natural,” I am sold. But I have to say that after starting to make this quick, three-ingredient, all-purpose cleaner, at home, I may never buy another again. I love the idea of having a product that is safe to use around babies, animals, and everyone else in the family, but a lot of times that cuts back on effectiveness. Many of the “all natural” cleaners I have used never felt like they got anything clean. 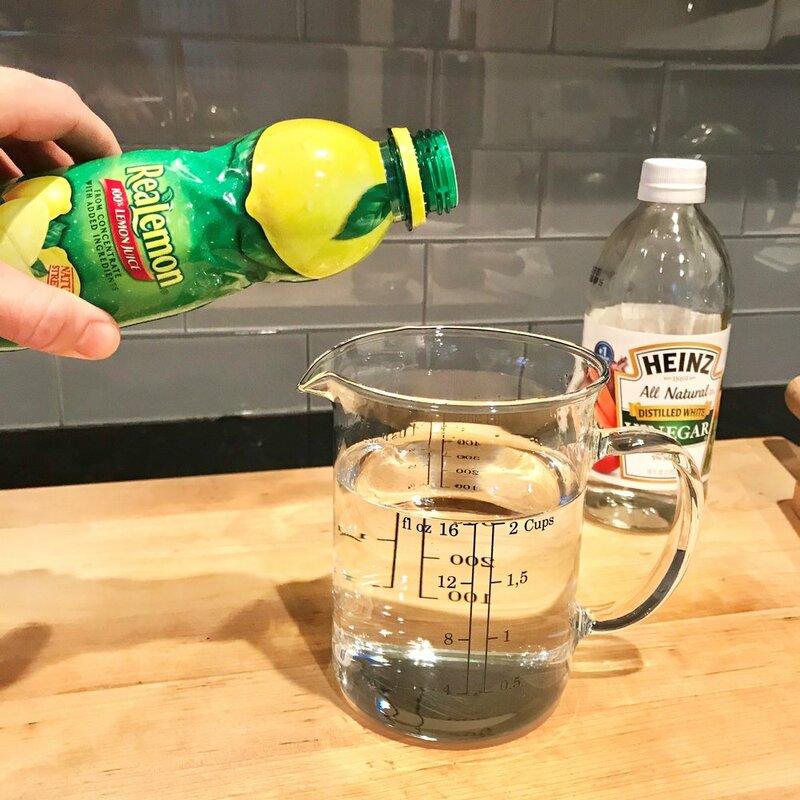 This All-Purpose Cleaner is three simple ingredients—equal parts white vinegar to water, and then add in a few drops of citrus or essential oil of your choice! I have used lemon juice, lime juice, citrus peel, lavender oil, etc.—just depending on my mood. I will say that if you use the actual citrus peel the cleaner will not last as long, so I would recommend making a smaller batch.